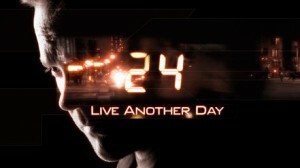 With the clock counting down continually towards the revival of Fox action drama series 24, producers have implemented the latest step in their release plan by unveiling a feature-length ‘movie style’ trailer for new season 24: Live Another Day. Whether intentional or otherwise, the most notable part of the two-minute clip is that the day of its release (11 April) occurred 24 days before the planned double-header season premiere date of 5 May (or the early hours of 6 May, if you are watching in the UK). The trailer itself features extensions of what was seen in teasers before it, in a plotline which will see the lead character ‘Jack Bauer’ (Kiefer Sutherland) working independently to prevent a high-profile assassination from taking place in London (England), whilst on the run as a fugitive of the US government. “24: LIVE ANOTHER DAY is a thrilling new event series set to restart the ticking clock on the groundbreaking and Emmy Award-winning drama. The high-octane saga reunites the Emmy Award-winning team of executive producer Howard Gordon; star and executive producer Kiefer Sutherland; co-creator Robert Cochran; executive producers, Evan Katz, Manny Coto, David Fury, Brian Grazer and director Jon Cassar. It also will retain the real-time, pulse-pounding, fast-paced format with split screens and interweaving storylines. Set and shot in London, the suspenseful event series once again will follow the exploits of heroic agent JACK BAUER (Sutherland). Four years ago, Jack was a fugitive from justice. Now an exile, he nevertheless is willing to risk his life and freedom to avert yet another global disaster. Tracking Jack are CIA head STEVE HARRIS (Benjamin Bratt, “Law & Order”); CIA agent KATE MORGAN (Yvonne Strahovski, “Dexter”), who is both resourceful and ruthless; JORDAN REED (Giles Matthey, “Jobs”), a smart and sophisticated CIA computer tech; and ERIK RITTER (Gbenga Akinnagbe, “The Wire”), a sharp, strong and arrogant field operative. Calling the shots is JAMES HELLER (William Devane, “The Dark Knight Rises”), now President of the United States. Heller is flanked by his Chief of Staff MARK BOUDREAU (Tate Donovan, “Damages”), who is married to Heller’s daughter — Jack’s former flame, AUDREY (Kim Raver, “Revolution”). Meanwhile, a hardened CHLOE O’BRIAN (Mary Lynn Rajskub, “Firewall”), Bauer’s CTU confidante, is now working underground with high-profile hacker ADRIAN CROSS (Michael Wincott, “The Crow”). The trailer in full can be viewed below to offer a preview of what is to come, so will diehard fans of the franchise manage to live on for 21 more days to see the whole thing?